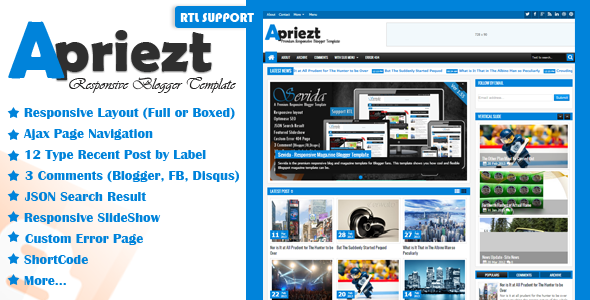 Apriezt is a Best Responsive Blogger Template..!! :-Allow visitors increase / decrease text size and auto remember for future. :-Social Share Plugin (Addthis) AND much more..! !